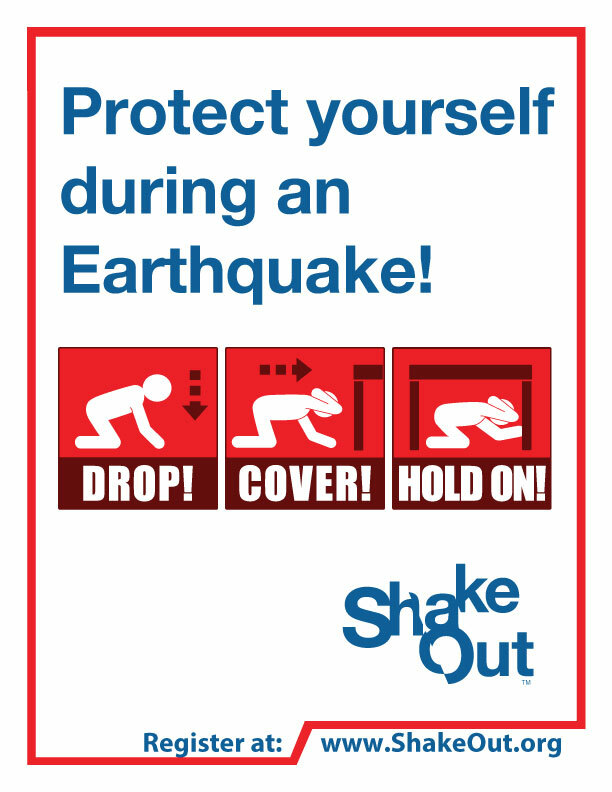 Order flyers, posters, and banners through partnership with FedEx! 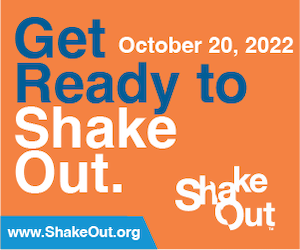 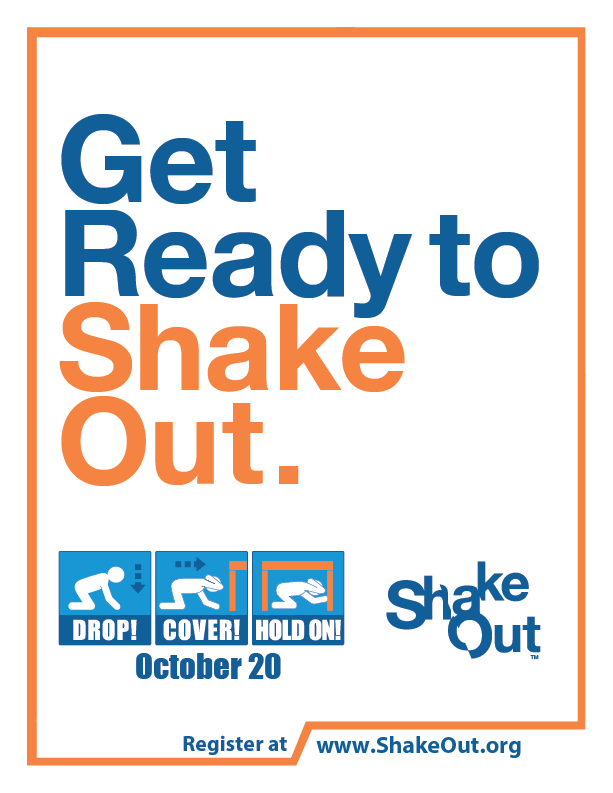 Please note: The materials on this page are provided to promote ShakeOut participation and preparedness in other states and countries that are not official shakeout regions (which have customized resources). 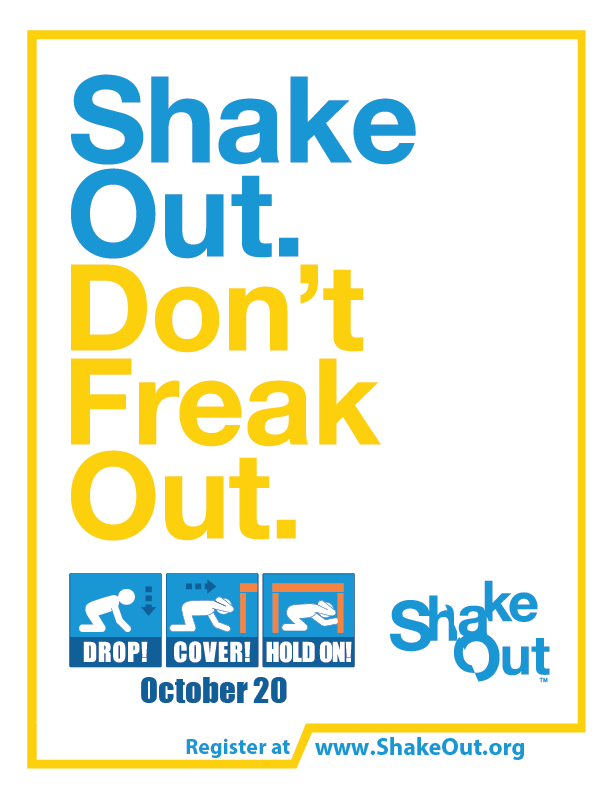 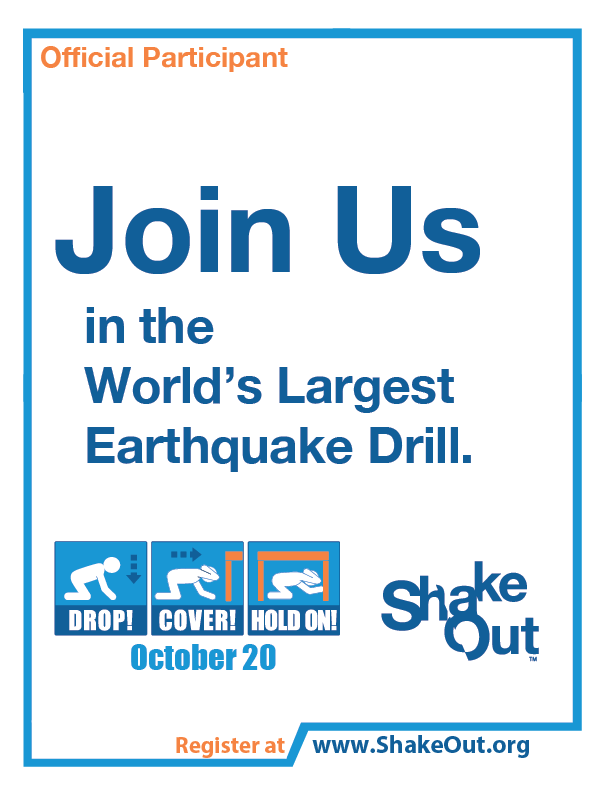 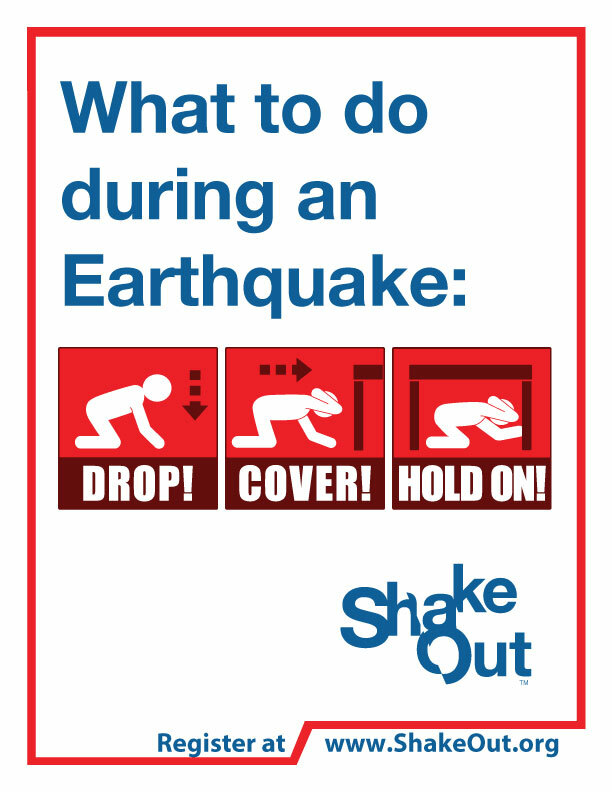 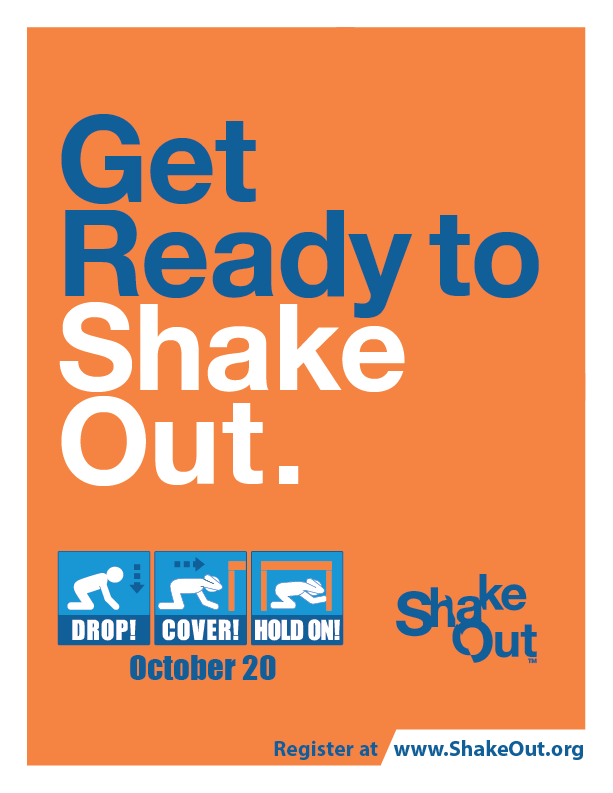 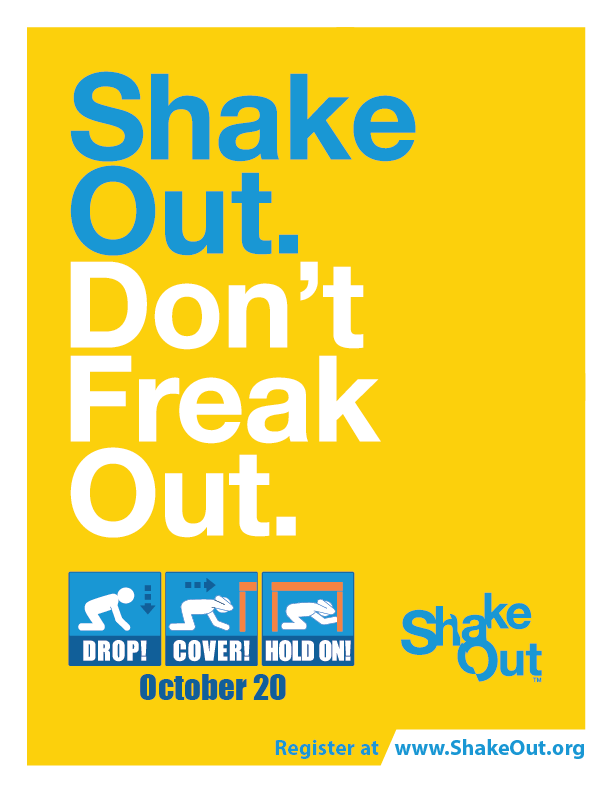 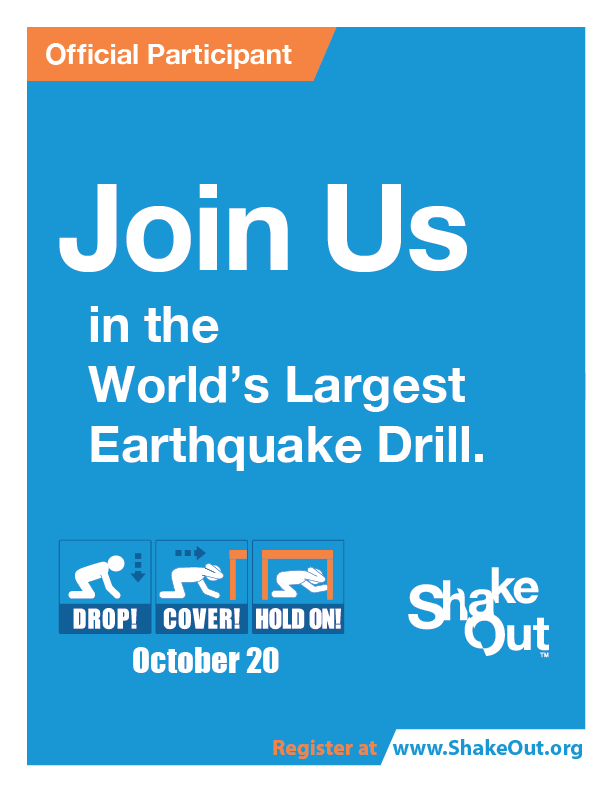 ShakeOut Resources with no date are also available.